The year of 2007 was a very interesting period of time in WWE. We were in the tail end of the Ruthless Aggression Era and right before the beginning of the PG Era. 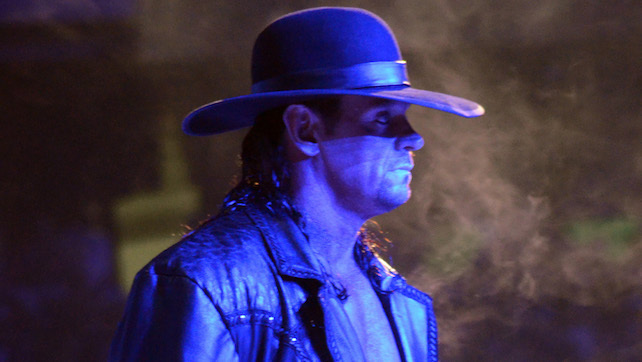 The Undertaker had a fantastic 2006 on SmackDown, being an integral part of the blue brand. However, The Phenom was unable to capture the World Heavyweight Championship. His fortunes would turn in 2007 as he entered the Royal Rumble match at #30, having a now-iconic showdown with Shawn Michaels in his hometown of San Antonio, Texas. Despite the crowd naturally leaning towards Michaels, The Undertaker ended up winning the Royal Rumble match for the first time ever. It was an impressive feat because that year’s Rumble had an impressive list of superstars competing. Batista, in the meanwhile, continued his dominance like he had from 2005. After breaking up with Triple H and Evolution, he faced The Game in the main event of WrestleMania 21, capturing the World Heavyweight Championship and concluding the period now-known as Triple H’s “Reign of terror”. It presented an exciting period for WWE, because parallel to Batista, John Cena had his rise to the top, winning his first World title on the very same night. Batista was poised to be the face of Monday Night RAW while John Cena would be that of SmackDown. However, the draft in 2005 saw the two World Champions change brands. While John Cena began to get the polarizing status that he would hold for many years until 2015-16, Batista was having a great run as a babyface World Heavyweight Champion. He saw much success on SmackDown, and his first reign didn’t end in defeat, but rather him vacating the championship due to an injury. This caused him to miss out on WrestleMania 22 in 2006. He would return on July of that year, and it took him another four months to finally regain the World Heavyweight Championship – in the very same arena where he vacated it. With The Undertaker winning the Rumble and Batista being World Heavyweight Champion, a clash was inevitable. The Undertaker was made to choose between World Heavyweight Champion Batista, WWE Champion John Cena, and ECW Champion Bobby Lashley. He chose The Animal. While they were both babyfaces, tensions would soon strike and in a match at No Way Out, they were forced to team up against WWE Champion John Cena and his title challenger at WrestleMania Shawn Michaels. Batista would end up costing his team the match, allowing Michaels to pin The Undertaker. While Batista had respect when The Undertaker challenged him, there was none of it heading into WrestleMania 23. The rumor states that Batista and The Undertaker were both upset about the fact that they didn’t go on last, especially since The Undertaker was the Royal Rumble winner, and the Rumble winner was supposed to main event WrestleMania (as we would find, that doesn’t necessarily happen to be the case). Regardless, it didn’t stop them from having a great match, and at the end, Batista ended up losing the World title to The Undertaker, who expanded his mythical WrestleMania streak to 15-0. Following his loss, Batista didn’t say much apart from the fact that he wanted an immediate rematch. They would clash heads at Backlash, where they would both face the ten count and subsequently have a draw. With their rivalry only getting tenser by the week, it would all culminate in a steel cage match on SmackDown. While we know what happened after, the match itself often gets overlooked. Batista and The Undertaker had great chemistry – this was established. However, the psychology and intensity of the steel cage match was off the charts, and the hot crowd only added to it. It turned out to be one of the most intense matches in SmackDown history, and perhaps even one of the greatest cage matches of all time, only below Bret Hart and Owen Hart‘s classic SummerSlam 1994 clash. It seemed like both competitors would lose the match at any given point, but the number of nearfalls showed the heart of each superstar and why they wanted it so bad. You might be surprised about the fact that this match, too, ended in a draw after both men’s feet hit the floor. Their rivalry had come to a conclusion with an indecisive finish, but nothing can be taken away from just how incredible the match was. Mark Henry would attack The Undertaker after the match, allowing Edge to switch brands, cash in his Money in the Bank briefcase and subsequently win the World Heavyweight title. The Undertaker wrestled through all of that with a torn right bicep. If that doesn’t speak of his toughness and will to continue, then nothing will. The steel cage match often gets overlooked, but it was the end of one of the best rivalries of the Ruthless Aggression era.